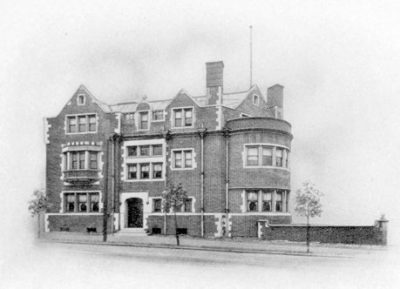 Penn’s Zeta chapter was established in 1883 and first appeared The Record of 1886, only to drop out of sight the following year. Phi Delta Theta returned to The Record in 1888, and was active in 2003. The national fraternity was founded in 1848 at Miami University in Oxford, Ohio. 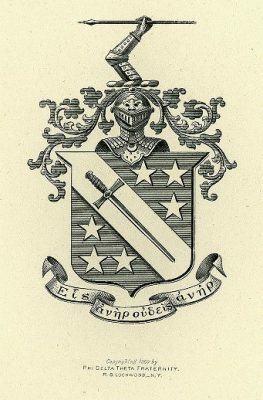 Six students at Miami University – Robert Thompson Drake, John Wolfe Lindley, Robert Morrison, Andrew Watts Rodgers, Ardivan Walker Rodgers, and John McMillan Wilson – founded Phi Delta Theta on 26 December 1848. Rapid and widespread growth immediately followed and continued for more than half a century. By 1940, Phi Delta Theta could boast that it had more active chapters that were over fifty years old than any other fraternity in the country.